The Personal Enrichment Program (PEP) aims to provide a broad range of online-based personal development and enrichment learnings for students of underprivileged backgrounds. It is a pilot project and if successful will continue to be offered moving forward. PEP will run for 6-month with weekly classes on offer in addition to ad hoc online discussions. 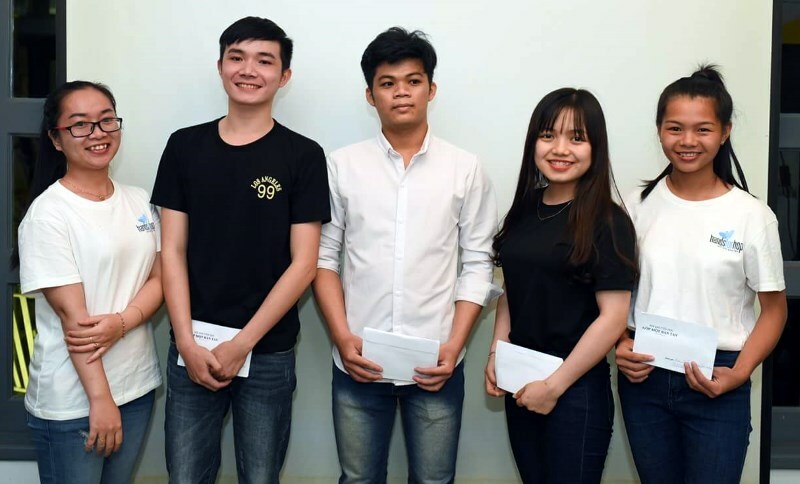 Thirty (30) tertiary students from Hands for Hope’s current Education Program in Viet Nam have registered for the PEP trial. The goal is to help raise student’s English competencies in their final university years and prepare them for Hands For Hope’s next Coaching Program on Employability. Our goal is to accompany the students on this journey and be their dedicated ally in the entire process of learning and development. We are looking for educator-volunteers for our Personal Enrichment Program (PEP). PEP is pilot Project offered by Hands for Hope, a not for profit organisation. It aims to provide a broad range of online-based personal development and enrichment learnings for students of under privileged backgrounds. The first stage of this pilot is to offer online English lessons to selected university students. Are you passionate about education and enjoy helping others? Pro Bono Programs are a strategic “corporate” social responsibility. Would you like to offer pro bono services that will enhance your reputational assets in the education sector, create good and new relationships you may be able to harness and/or support and contribute towards Hands for Hope’s vision and purpose? Can you commit 2 hours per week to lead the designated web-based class and a further 2 hrs for class preparation and assignments; for the duration of the 6-month trial?